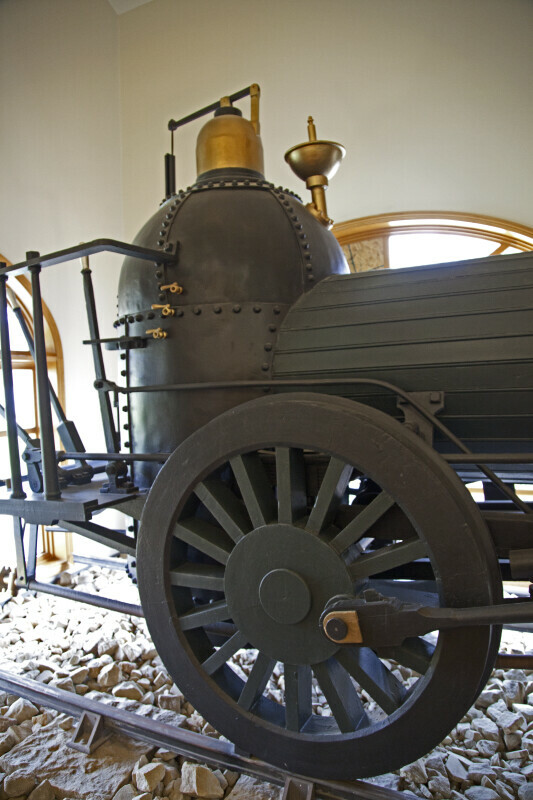 This is the back half of a steam-powered locomotive engine. This appears to be the end with the boiler. There is a large, spoked wheel on this end. This visitor center is listed on the National Register of Historic Places, as part of the Allegheny Portage Railroad National Historic Site.